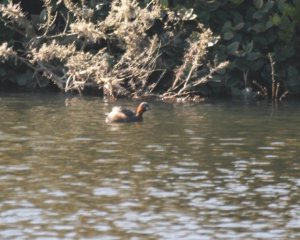 Observation - Bird - Little Grebe - UK and Ireland. Description: Feeding on a small inland pond, where they used to take Ironstone from in ancient times. Sadly, I missed the Harrier that flew over at the same time. Feeding on a small inland pond, where they used to take Ironstone from in ancient times. Sadly, I missed the Harrier that flew over at the same time.